Alex is a partner with Motschenbacher & Blattner LLP, representing clients in a variety of business, employment, and intellectual property matters. As corporate counsel, business owners and entrepreneurs rely on Alex for his experience negotiating and documenting various types of business transactions. Alex routinely helps clients acquire and protect their intellectual property including trademarks and copyrights. 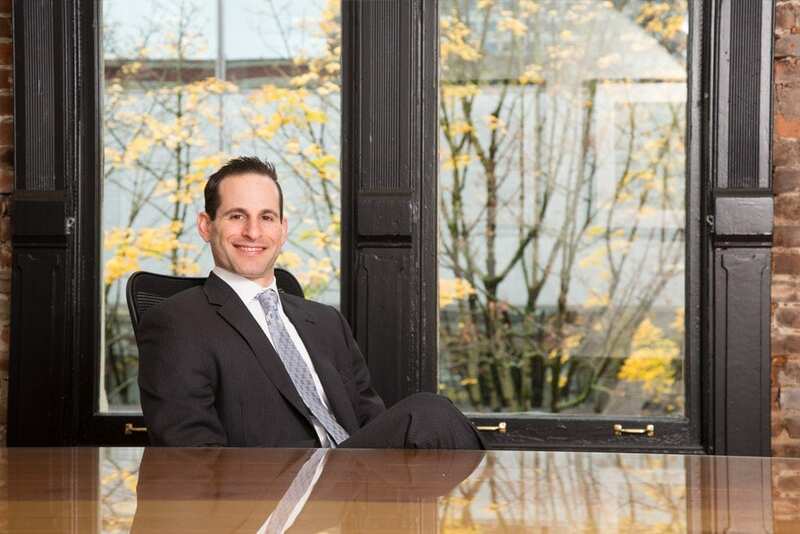 Alex has also developed a specialty serving Oregon and Washington’s medical and dental professionals, having represented dozens of buyers and sellers in professional practice sales and acquisitions. When disputes cannot be avoided, Alex has significant litigation experience involving: trademark and personality rights infringement, trade secret misappropriation, contract disputes, shareholder oppression, breach of fiduciary duties, partnership disputes, and general commercial litigation. Alex also represents both employees and employers in many types of employment disputes, including: wage and hour claims, unlawful discrimination claims, whistleblower retaliation, wrongful termination claims, and non-competition enforcement. Prosecuted a trademark infringement and cybersquatting action on behalf of a local sushi franchisor against an out-of-state infringer. Alex ultimately obtained a permanent injunction against the infringer, along with a judgment requiring the infringer to assign the infringing domain name to Alex’s client and pay Alex’s client the attorney fees incurred in the litigation. Represented a local pet product company in trademark infringement litigation against one of the largest pet product companies in the world. Prior to trial, Alex successfully negotiated a monetary settlement for his client, along with the opposing company’s agreement to cease its infringement. Successfully defended a company and its employees accused of misappropriating a competitor’s trade secrets, including obtaining an award of attorney’s fees. At arbitration, Alex obtained a substantial monetary award for a construction subcontractor that was not paid by the general contractor on a prominent public works project. Obtained a favorable defense verdict following a 2-day bench trial involving a partnership dispute. Represented a subcontractor accused by the general contractor of failing to perform agreed upon construction work. Alex successfully defended the allegations and ultimately obtained a favorable settlement for the client’s counterclaim for breach of contract. Represented a property owner whose vacation home was wrongfully entered into and “winterized” by the client’s mortgage company and several property management companies. Alex ultimately obtained a significant monetary settlement for the client. Successfully defended numerous companies accused of wrongfully terminating an employee. Alex resolved each dispute with a favorable defense settlement. Alex has been selected by his peers as a Super Lawyers Magazine Rising Star from 2009-2018 and is frequently asked to present seminars to other lawyers on business development. Prior to his current position, Alex was an owner and co-founder of Henderson Trauman, P.C. from 2007-2009, where he focused his practice on business and employment litigation. Contributing author, "Did the Ninth Hit a Circuit Clout for Wireless Providers," Oregon Real Estate and Land Use Digest, August 2005. Outside of the office, Alex enjoys surfing, running, and spending time with his family.